THE BILLY GOAT TAVERN is best known for the Olympia Cafe sketch that it inspired on Saturday Night Live ("Cheezborger, cheezborger, cheezborger, no Pepsi, Coke! "), and for a supposed curse on the Chicago Cubs! 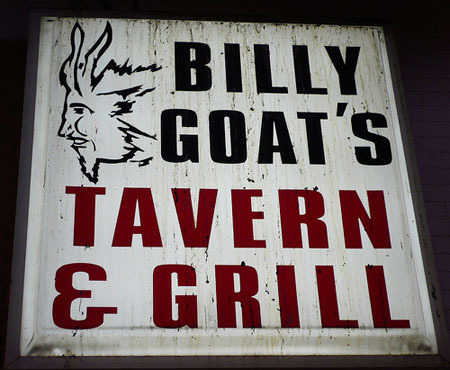 There are many Billy Goat locations in the Chicago area now, but we love the River North location the best. It originally opened in 1934, so there is a rich history here that you'll feel when you visit. The place is nothing short of legendary, and their burgers are quick and delicious! When you're craving a great burger, this is your place!